Tales from the Real OC (Really! ): Playing Catch Up! Well, it seems I've been very lax about blogging, facebooking, and tweeting lately (yes, they are all action words! ), and my excuse is that I returned from the Pen Fatale Tour and went straight into deadline mode. For those who don't know, deadline mode is a very sorry state of unwashed hair, unhealthy meals . . . well, let's just leave it at that--it's best not to go into too much detail. For those who do know, then thank you for understanding. Random Video #1, filmed during my Brazilian Book Tour, where I talk about The Immortals series, Brazilian culture, and more! Random article # 2- a piece in Publisher's Weekly Children's Bookshelf where me and my fellow Pen Fatale Tour Mates spill the dish on group tours! To read it, click HERE. 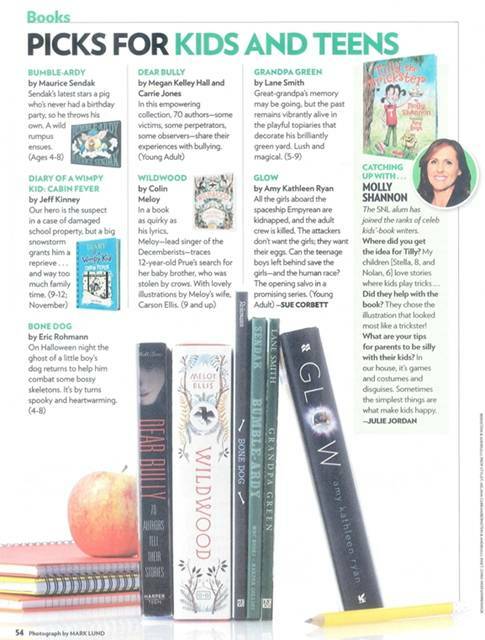 Random article #3- DEAR BULLY--an amazing anthology where 70 YA authors speak out, yep, including moi, on the horror that is bullying-- featured in PEOPLE magazine--how awesome is that?! 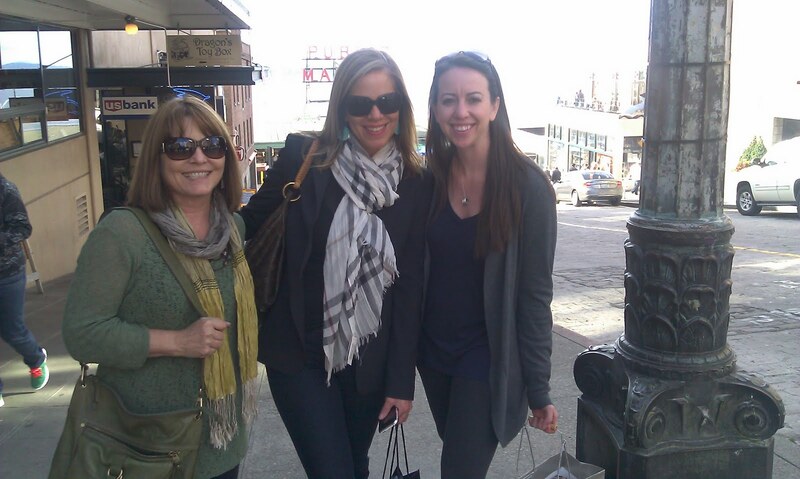 And last but not least, random pic #4- Enjoying a little time off in Seattle with the talented & lovely Mary Pearson & Jessica Brody! That's it for now--the manuscript won't revise itself! Hello, Aly! How are you? Last week I had a wonderful dream! I dreamed I was interviewing you =) It was so cool and amazing. It seemed very real. I remember I asked you some tips on how to write ... And you treated me so well. Best of all: you were talking in PORTUGUESE! I woke up very happy. Hi Ebert - Regrettably, I'm unable to read unpublished works and ideas due to legal reasons, though I wish you the very best with your writing! Hi Alyson - I understand that you can not read my blog. Do not worry, no problem ... When the text turning a book I'll be happy to deliver in your hands to you can read =) Thank you for your attention, kisses! Wishing you all the best, Ebert! Thanks again for all your support--much appreciated! you Wright the best books ever and i love them so much! they are my favourite books and i think it would be pretty cool if they were made into a film someday!!! though i`m not sure if id be old enough to see some of them. but anyway i`m your biggest fan ever and as in said before i totally adore your books and cannot stop reading them, seriously i got told of for reading it to much in class!!!! and they inspired me to start writing my own books!! Serri - Thanks so much! I'm so thrilled you're enjoying the books and I hope you continue to. And, I'm thrilled to share that the dramatic rights for The Immortals and Riley Bloom Series have been optioned by Summit Entertainment! My fingers are crossed! Pen Fatale Heads for Seattle! !